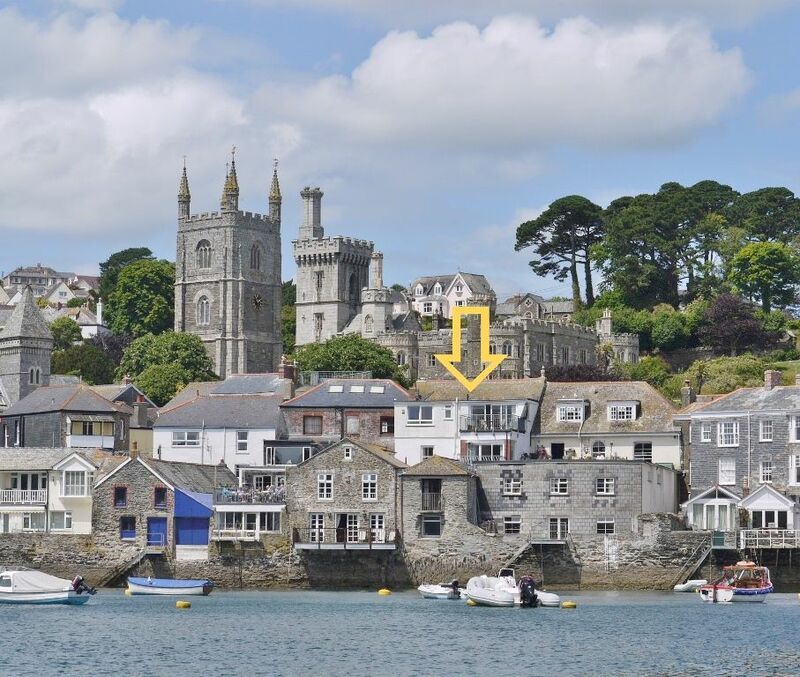 This well appointed, light and spacious apartment is in a prime position with quite exceptional and uninterrupted views of the river, out to sea and across to Polruan. 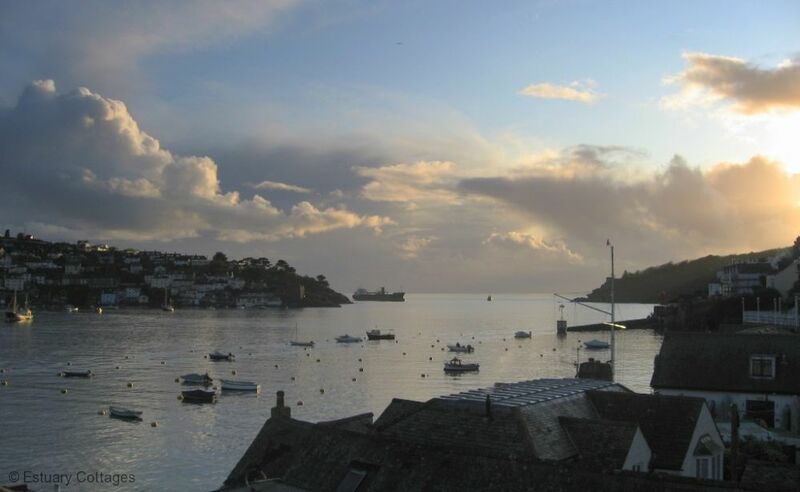 The sun terrace is in an elevated south facing position which has sunshine throughout the day and overlooks the Royal Fowey Yacht Club start/finish line. Readmoney Cove with its sandy beach and beach cafe is an approx 10/15 min stroll along the Esplanade. Equipment: Gas CH. Gas Hob & Electric Oven. Dishwasher. Washer/dryer. Fridge. Freezer. Microwave. Freeview TV x 2. DVD player. WiFi. 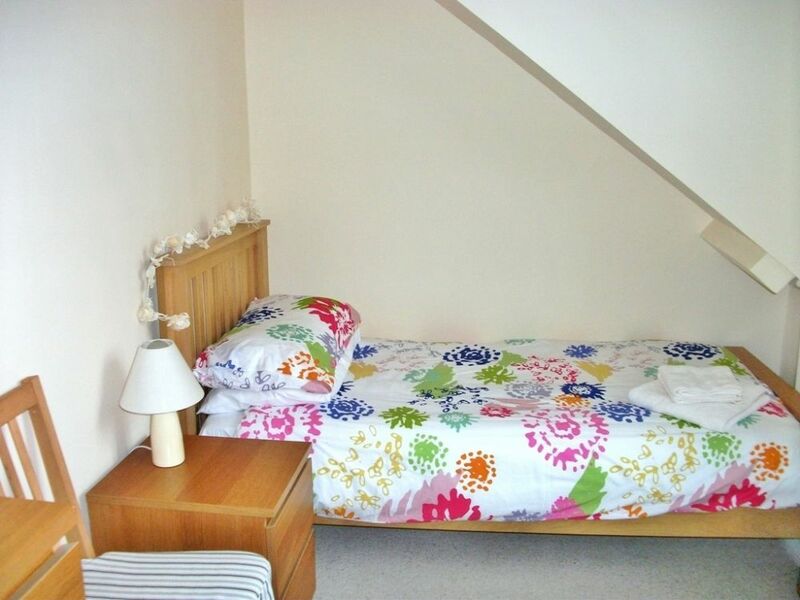 Bed linen & towels included. Electricity & gas included. There is no parking available at this property. From Trafalgar Square the main front door opens into a small hallway and a number of stairs leading up to the apartment. The front door opens into a bright lobby area with doors leading to all rooms. 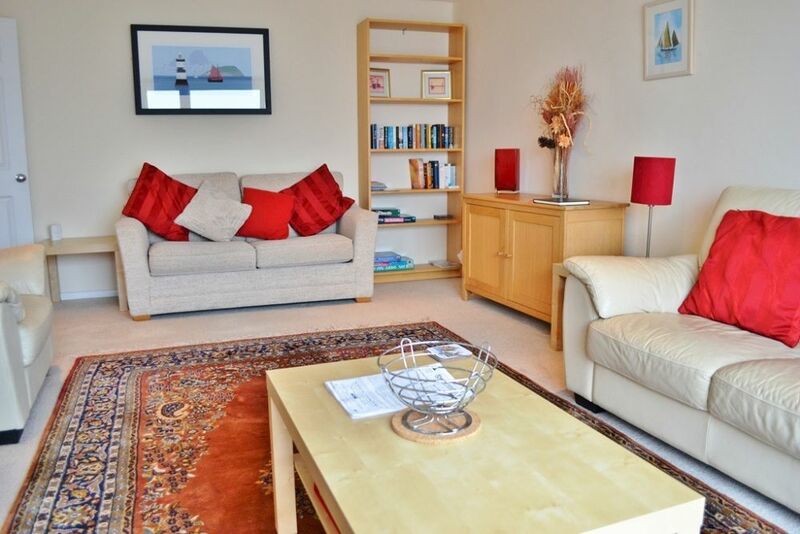 The sitting room is spacious, well furnished and has lovely views of the river from the full length patio doors. There is a three seater leather sofa, two matching armchairs and a two seater sofa bed (for flexible sleeping arrangements) if required. 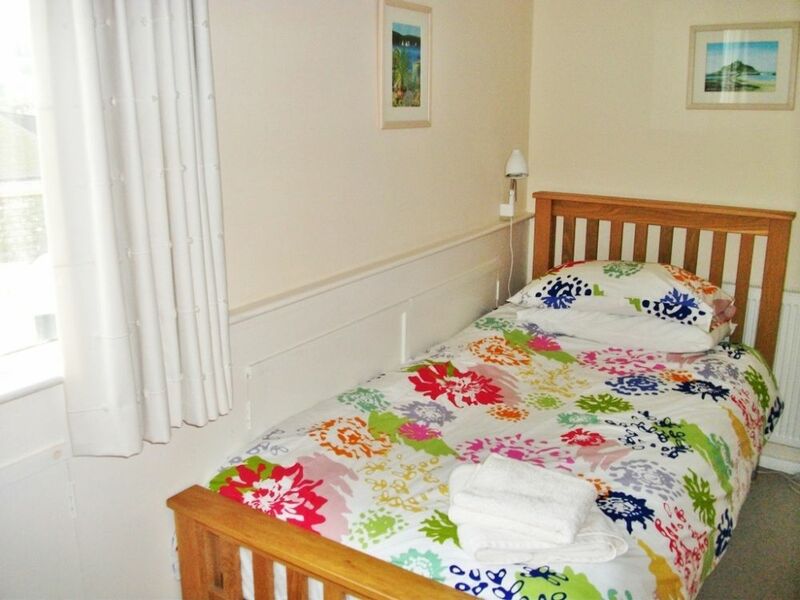 In addition there is a flat screen TV with Freeview and DVD player and a selection of DVDs, videos, books and games. 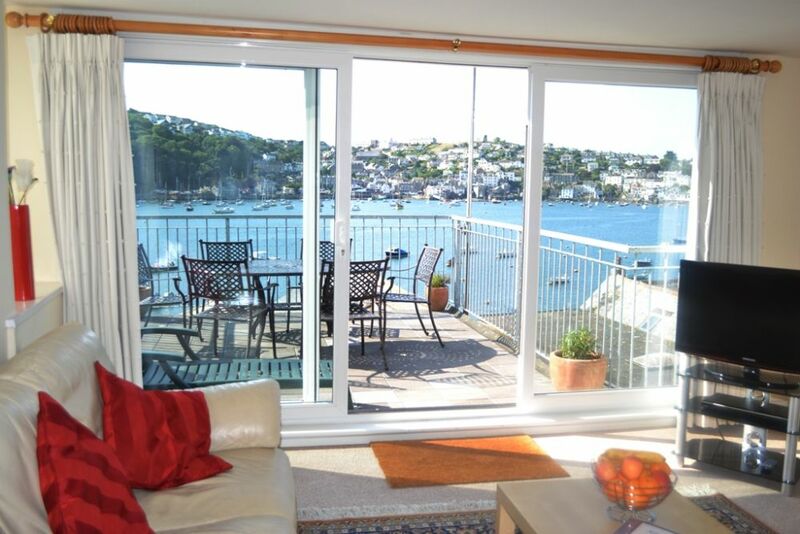 The patio doors open onto a good size terrace with patio table and chairs as well as sun loungers. This is a delightful place for alfresco dining, or, just to sit with a morning cup of tea and watch the river go by! The kitchen is modern and comprehensively equipped with a range of good quality units with integrated dishwasher, washer/dryer electric oven, gas hob, fridge and freezer. 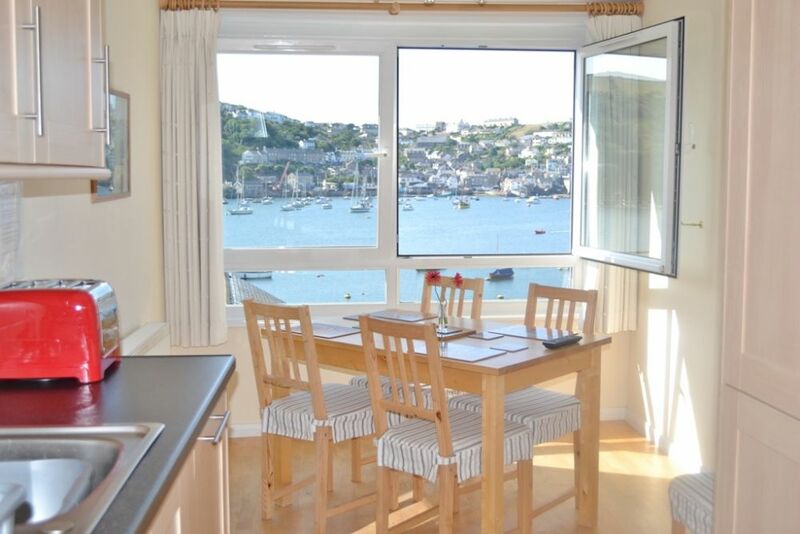 There is also a microwave, kettle, toaster and ample cooking utensils, crockery and cutlery. new flat screen TV with DVD player and Freeview. The dining area has wooden dining table and chairs, wall mounted flat screen TV and large picture window which affords lovely river views. 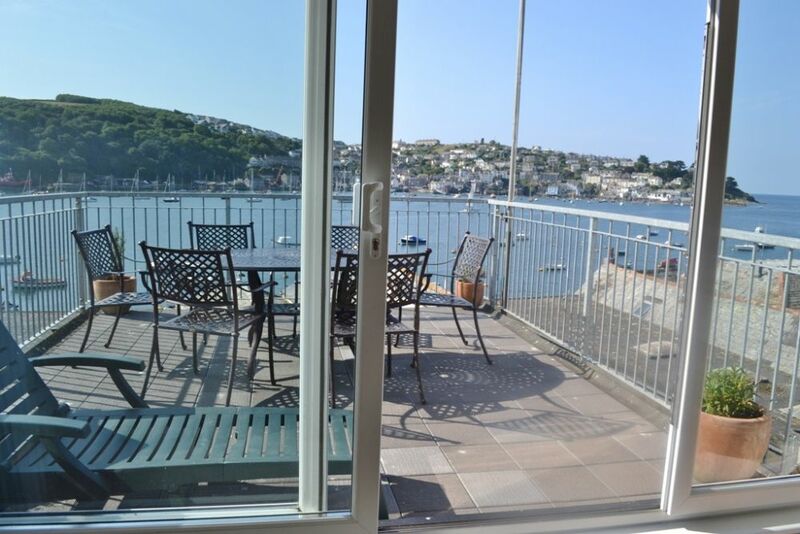 The bathroom is fully tiled with a full sized bath with shower over, WC, washbasin, heated towel rail and stunning river views, if you choose to lift the blind! There is also a fully tiled cloakroom with WC. 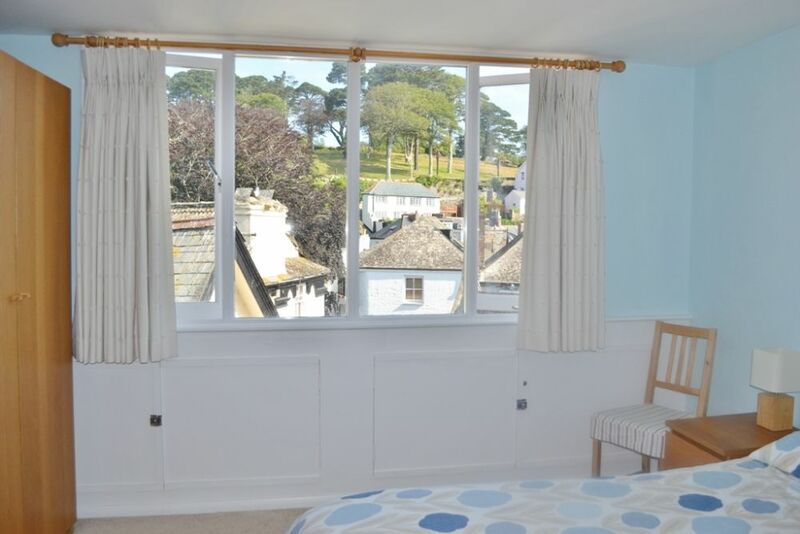 The Master bedroom is a spacious, bright room with pleasant views across the town to the church and the fortified mansion, 'Place'. 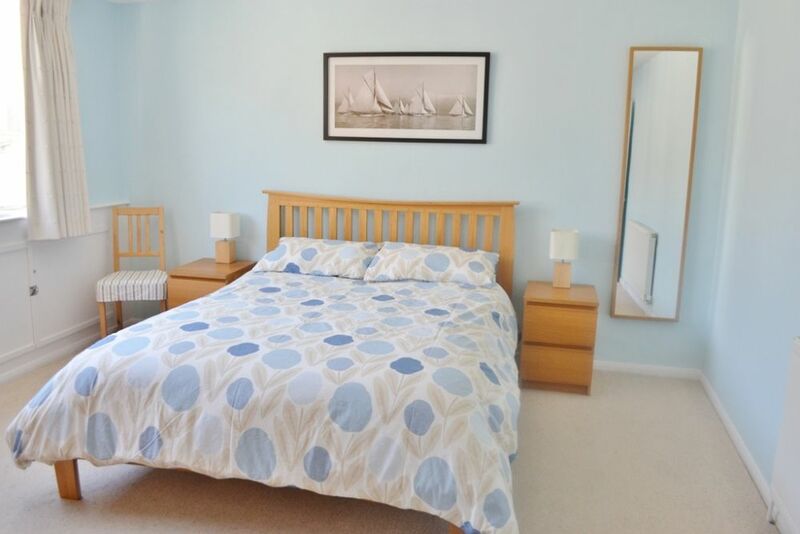 It has a king size oak double bed with matching furniture. Bedroom 2 has full size twin oak beds, again with matching furniture and there are interesting open views across the town. Please note that there is one full flight and two half flights of internal stairs to reach the apartment and may not be suitable for very young children or the elderly. Children must be supervised on the terrace at all times. 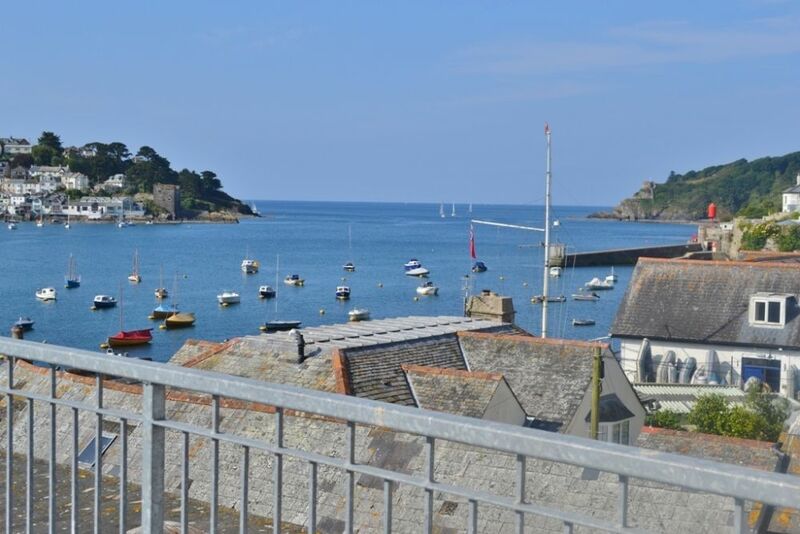 A beautiful apartment in a great location with sublime views across to Polruan, a really big roof terrace which get the sun all day. Clean and tidy with good amenities. It is also right in the centre of town so no steep walks unless you want to.